NGCP mini-grants are designed to enhance access to and build collaboration between programs and resources. Thanks to generous funding from Cray, Inc., mini-grant applications will be accepted for the Seattle Metro area only from April 14, 2011 to May 12, 2011 with decisions by May 27, 2011. Mini-grant application resources, including a sample application, research based strategies, and evaluation requirements are available online at http://www.ngcproject.org/mini-grant/app-resources.cfm. The Pacific Northwest Girls Collaborative Project is proud to announce mini-grant awardees from the 2010 cycle. Please check out the projects to learn more about the great work happening at these organizations. Mini-grant awardees will provide outcome information and presentations at a PNWGCP event in Fall 2011. OMSI created a workshop to help educators integrate new Oregon State Science Standards in engineering and design into their curricula. This workshop was enhanced to emphasize encouraging girls in engineering by reframing engineering as a creative, socially-relevant endeavor. Building on a previous collaboration with Girls Inc. (which involved girls' input into engineering and exhibit design) Girls Inc. staff received scholarships to attend the workshop and bring the strategies back to their own informal learning. This OSU Saturday Academy camp was held at the Corvallis Boys & Girls Club through a new collaborative partnership. Registration spots were reserved for girls who come from underrepresented groups and have traditionally had low participation in camps. The girls took part in hands-on science and technology activities during this week-long summer camp. Middle school girls from Vancouver, Washington traveled to the University of Portland to meet with female professors and graduate students in STEM fields, toured facilities and labs, and engaged in hands-on activities designed to raise interest and awareness in STEM college courses and careers. This week-long camp engaged girls in site visits and hands-on activities in a variety of STEM fields. Girls visited health sciences, engineering, sustainable energy, computer technology, and marine biology sites. After creating projects each day with technologically specific instruction kits, the week culminated with an overnight stay at the Oregon Coast Aquarium. High school girls from CVHS Robotics conducted a series of presentations for middle school girls on robotics activities and combined them with talks from professional women employed in STEM careers. This project also developed and implemented an attitudinal pre and post survey to assess the impact of the materials on the attitudes of middle school girls towards STEM. These one-day conferences include hands-on workshops in the fields of math and science for middle school girls and encourages young women to become innovative and creative thinkers ready to meet 21st Century challenges. This science expo features projects from Beaverton School District that showcase excellent scientific inquiry, engineering design, or enthusiasm for science. Interested adults are needed to provide positive feedback on projects and to engage students in conversations about science and engineering. Contact Susan Holveck at (503) 591-4162. The purpose of the conference is to share and investigate ideas that focus on advancing women in engineering by transforming engineering education. Participants will share innovative strategies for developing a highly prepared, diverse engineering workforce that has achieved technical excellence and learned how to think and design creatively. This conference examines the use of social/digital media to deliver professional development across all career and technical education program areas. Activities include tours, exhibitions, break-out sessions, and speakers, including the author of the "Pathways to Prosperity" from the Harvard Graduate School of Education and Washington State School Superintendent Dorn. Educators can find live cams, online exhibits and activities exploring chemistry, sound and energy, including a virtual tour of Portland's USS Blueback submarine. The Museum of Flight Web site provides useful information for educators and students including air and space links, scholarship resources, and flight history resources. NGCP Program Directory - Register your Program Today! 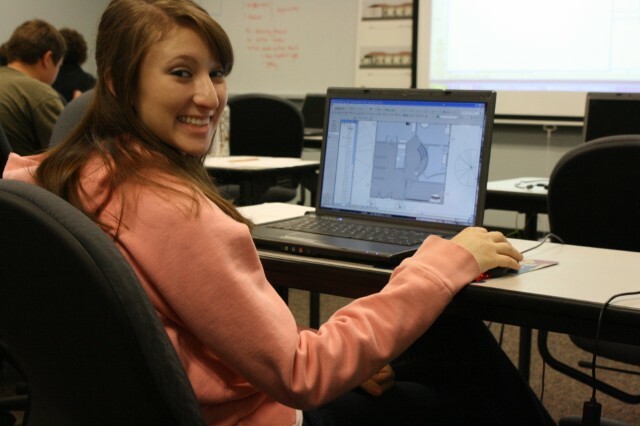 The online Program Directory lists organizations and programs that focus on motivating girls to pursue STEM careers. The purpose of the directory is to help organizations and individuals network, share resources and collaborate on STEM-related projects for girls. When you sign up for the Program Directory you will enter your program description, resources available within your organization, program and/or organizational needs and contact information. The Pacific Northwest Girls Collaborative Project (PNWGCP) brings together organizations in Washington, Oregon, Idaho, Montana, Alaska, and Hawaii that are committed to informing and motivating girls to pursue careers in science, technology, engineering, and mathematics (STEM).